In the early years of the Port Phillip colony, women were treated as second class citizens. Women couldn't vote, they weren't allowed to do the same work as men and they had no representation in government. There was an expectation that women marry and tend the home as wives and mothers. By the mid-1800s women were still denied rights we would consider basic today. Attempts at improving the rights of women were started by the Victorian Women's Suffrage Society in 1884, with minor success. The right to own property was given to married women in 1884. The right to attend university (Melbourne) was granted in 1880, and in 1887 the University of Melbourne's Medical School accepted female applicants. By the late 19th century the concept of women's rights was being advocated in Victoria by activists like Vida Goldstein, who campaigned for women's equality, including universal suffrage and equal pay for equal work. Thanks to the tireless efforts of Goldstein and thousands of women like her, the right to vote was gained for Victorian women in 1908.
the right to the same education as men. 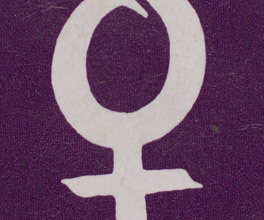 Equal pay and abortion were two issues of particular importance to the movement in Melbourne. The right to birth control was finally gained by women in the early 1970s after Whitlam was elected Prime Minister. The battle for equal pay lasted throughout the 1970s and cases also exist in the early 1980s, despite an amendment to the Conciliation and Arbitration Act to secure minimum wage for all adults in 1973. Although women have achieved much in their fight for equal rights, contemporary groups continue to fight to improve the lives of disadvantaged women here and all over the world.